Enjoy every sunrise and sunset while living on 1.13 acres in the New Deal School District. The spacious kitchen has three beautiful Corian workstations with a cozy dining room nearby. You will love the updated den with stone fireplace on frosty days! The Master is upstairs with a balcony overlooking the front of the property. Energy efficient windows, breaker box, and HVAC were replaced in 2015. 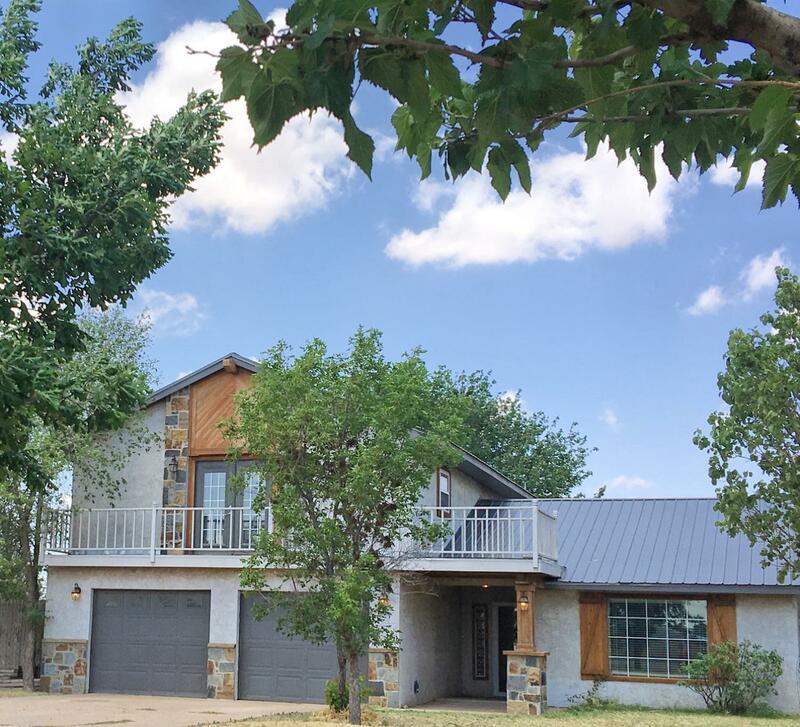 The metal roof eliminates the worry of the changing West Texas weather! For the mechanic- a steel cross-beam in the garage was specially installed to hoist an engine!